Newland Chase provides clients with a deep expertise in all areas of Spanish Immigration as well as effective advice wherever in the world our clients undertake their business. We invest in the best talent to bring you immigration solutions customized to your business needs. Our immigration consultants provide clear and practical solutions in Spain and globally through 60 offices around the world. This applies to the citizens of a Member State of the European Union, of another State party to the agreement on the European economic area, or of Switzerland expected to reside in the territory of the Spanish State for a period exceeding three months. This applies to non-EU nationals and to family dependents of EU nationals, nationals of European Economic Area states, or nationals of Switzerland expected to reside in Spain for a period exceeding three months. Applicant employee holds a graduate or postgraduate from a university or prestigious business school. This is an authorization of temporary residence intended for employees working abroad that will be assigned to work in a Spanish company while maintaining their work contracts in their home country. It is mandatory that employees have at least 3 months of seniority in the company. -Significant contribution to scientific and/or technological innovation. This is an authorization of temporary residence and work requested by an employer or company to hire a worker who is not in Spain or residing in Spain. The national employment situation will be considered before the submission of the file in the Immigration Office, except if circumstances of art. 40 L.O.4/2000 apply. This is an authorization of temporary residence and work requested by an employer or company to hire a worker if he/she holds a qualification of higher education (minimum of three years) or, exceptionally, the worker has at least 5 years of relevant professional experience comparable to the higher education related to the job position offered. The national employment situation will be considered before the submission of the file in the Immigration Office, except if circumstances of art. 40 L.O.4/2000 apply. The annual gross salary must be at least 1.5 times the average annual gross salary.  However, if the position is a profession in which there is a specific need and which belongs to groups 1 and 2 of the International Standard Classification of Occupations (ISCO), the salary may be 1.2 times the annual gross salary. This is an authorization of residence for the dependents of main applicants. This is an authorization to reside in Spain without engaging in any type of lucrative activities. This is an authorization to reunite the family members with foreigners who have been living legally in Spain for a year and who have obtained authorization to stay at least one more year. This is an authorization of temporary residence for non-EU workers who are legally resident in a country of the European Union (EU) or European Economic Area (EEA) with a local work contract and who are assigned by their company to work temporarily in Spain, while maintaining their work contracts in the EU or EEA country. This is an authorization that allows applicants to remain in Spain for a period of more than ninety days for the completion of full-time studies in a teaching center authorized in Spain, leading to a degree or certificate of studies. This is an authorization for foreigners whose authorization of residence is pending extension or renewal that allows to exit and re-enter Spain within a period not exceeding ninety days. Applicant must be able to certify that they have begun procedures for renewal or extension of the title that enables them to stay in Spain within the legal time limit set for this purpose. This is a mandatory notification to the Immigration Office regarding any changes in the initial work conditions that must be completed within 30 days of the change. This is a notification and return of ID card to Police Authorities that must be completed when exiting Spain. This is the process for obtaining Spanish citizenship based on the applicant’s origin, choice, or residence in Spain. Our team is made up of professionals with more than fifteen years’ experience in the immigration field. They come from a combination of backgrounds – from former government immigration officers to in-house corporate global mobility professionals. This combination of experience gives us a unique understanding of the challenges and opportunities presented to corporations and foreign employees in Spain and allows us to provide the best guidance, strategies, and solutions for our clients, ensuring compliance with all relevant law and practice. As Senior Immigration Lawyer, Sandra Avilés heads Newland Chase’s Madrid, Spain-based business where she leads a team that is responsible for providing strategic immigration advisory services to multinational and national companies operating in Spain. Practicing immigration law now for more than 16 years, Sandra is a recognized expert and frequent speaker on Spanish immigration law. Prior to joining the company, she held management positions with several top Spanish corporate immigration firms, advising companies in a diverse array of sectors and industries (e.g. petrochemicals, insurance, and engineering). Sandra is a graduate of the University Complutense of Madrid (C.E.U. San Pablo) with a degree in Law and Business and holds a Postgraduate Diploma as “Immigration Expert” by Carlos III University. Newland Chase in Spain supports the expatriation processes of employees of national and multinational companies operating in Spain. To this end, we provide integral management systems enabling us to offer top quality services. We provide our clients resource management optimization, advice and guidance on immigration needs, and best in class service for all aspects of Spanish and global immigration.